As Australia's capital, Canberra is also the site of many national social and cultural institutions and buildings, including the Australian War Memorial, National Gallery of Australia, National Museum of Australia and the National Library of Australia. 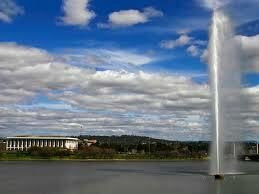 Canberra is also famous for the Floriade Festival each Spring at Canberra's Commonwealth Park. Canberra is the Capital of Australia and its political heartland. Located in New South Wales, Canberra was established due to a political dispute between Melbourne and Sydney who were competing over which would be Australia’s capital city. Surrounded by picturesque mountains and bushland, Canberra is full of greenery and parklands and is one of Australia’s top cultural destinations with an abundance of museums and art galleries to keep visitors busy. There are no direct flights to Canberra, Australia however there is a superb choice of flights available to Canberra with short transits or an aircraft change via the Far East and domestic Australian airports. Many visitors take the opportunity to do a stopover for a day or so to break up the long journey to Australia. As with most flight prices, prices will tend to rise the closer you book to you departure time therefore we recommend to book in advance to get the cheapest flights available. Prices will also be more expensive for the very popular times to travel such as Christmas and the during school holidays, if you're able to travel outside of these times then fares can be more affordable. 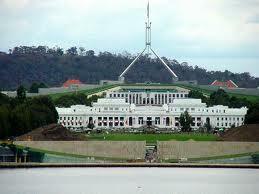 The centre of Canberra is home to civic and Government buildings and boasts some fine architectural heritage. With over 30 cultural and artistic attractions in the city, it is easy to spend several days touring Canberra’s main attractions. One of Canberra’s most popular attractions is its National Gallery which is home to Australia’s premier art collection which is believed to top over 100,000 pieces of art work spanning over 5,000 years. As well as Australian art, the gallery has Aboriginal artwork, Asian pieces, a stunning Indian Subcontinent gallery and famous pieces from all over the world. The National Museum of Australia is also worth a visit for its humorous exhibits and excellent guided tours. Other famous sights in Canberra include the very moving War Memorial, The National Botanic Gardens, the National Portrait Gallery and Lake Burley Griffin. Directflights.com is the fastest growing travel comparison site, just complete our flight search box located at the top of this page and click to find the best deals on cheap flights to Canberra from a whole host of airlines and travel partners. We pride ourselves on finding superb offers on low cost flights as well as giving you the best value on lastminute flights if you need to fly somewhere in a hurry. Canberra experiences warm, quite dry summers, and chilly winters with heavy fog and frequent frosts. Snow is rare in the CBD but the surrounding areas get annual snowfall through winter and often the snow capped mountains can be seen from the CBD. Annual rainfall is the third lowest of the capital cities but is spread fairly evenly over the seasons, with late spring bringing the highest rainfall. Thunderstorms occur mostly between October and April, due to the effect of summer and the mountains.